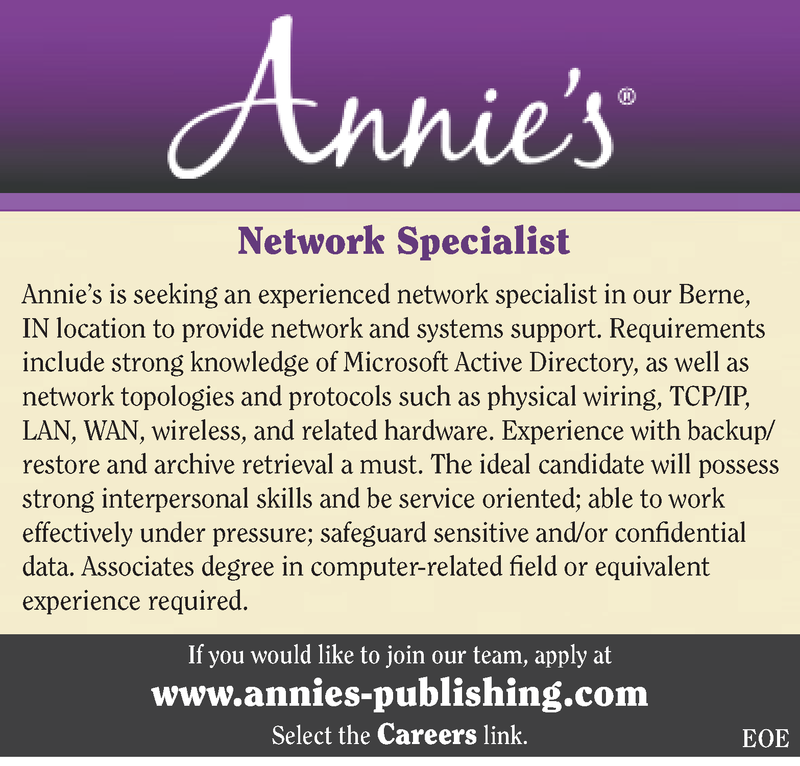 Annie's is seeking an experienced network specialist in our Berne, IN location to provide network and systems support. Requirements include strong knowledge of Microsoft Active Directory, as well as network topologies and protocols such as physical wiring, TCP/IP, LAN, WAN, wireless, and related hardware. Experience with backup/restore and archive retrieval a must. The ideal candidate will possess strong interpersonal skills and be service oriented; able to work effectively under pressure; safeguard sensitive and/or confidential data. Associates degree in computer-related field or equivalent experience required. If you would like to join our team, Click the Apply Button and Visit Our Website Today!